Paris: Neymar is set to return after a minor injury as Paris Saint-Germain aim to lay down a marker in Europe by getting the better of Bayern Munich in their heavyweight Champions League encounter on Wednesday. The world's most expensive player trained on Tuesday after missing the French giants' weekend draw with Montpellier due to a toe problem, and he should start alongside Kylian Mbappe and Edinson Cavani in attack at the Parc des Princes. 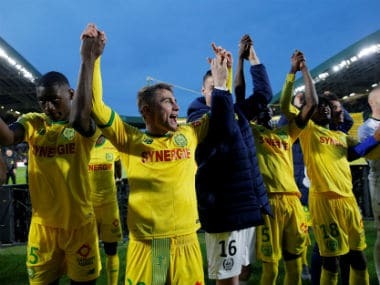 The Group B encounter in the French capital is unlikely to be decisive for the two sides in terms of qualification for the last 16, with both expected to advance at the expense of Celtic and Anderlecht. But after both won the opening matchday, this game could be crucial in determining who ends up progressing as group winners. 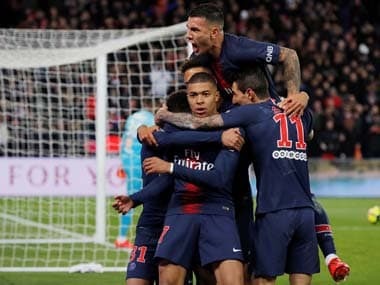 It also offers PSG the chance to test themselves against one of the continent's traditional powerhouses in their biggest game since their humiliating 6-1 defeat in Barcelona last March that knocked them out in the last 16. 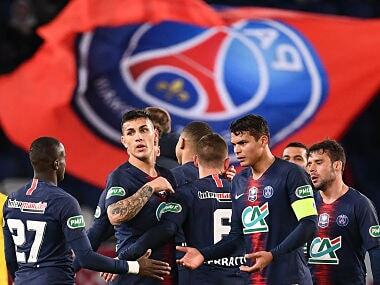 "We need to send out a signal to ourselves," said PSG midfielder Marco Verratti on Tuesday when asked of the significance of the game, the first meeting of the sides in 17 years. Verratti believes that, five years on from his arrival at an ambitious club in the hands of mega-rich Qatari owners, PSG are now reaching a level where they are the equals of Bayern, the five-time European champions. "Winning against Bayern and playing well will give us a lot of confidence," said the Italy midfielder. "This is one of the first times where I feel we are like Bayern. That shows we have done a lot of work to get there over the last five years. Now we have credibility in the Champions League." The implication is that the signings of Neymar and Mbappe — on whom PSG have committed over €400 million ($471 million) on transfer fees — have raised Unai Emery's side to the next level after they failed to get beyond the Champions League quarter-finals in the last five campaigns. 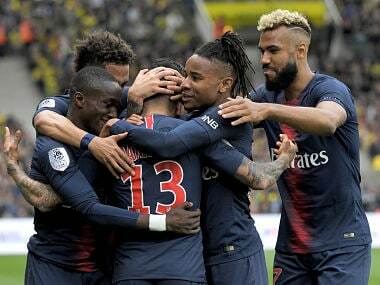 Maintaining harmony in the squad will be vital for Emery if they are to go further this time, and Wednesday's game is set to be the first time Neymar and Cavani will have played together since their dispute over who should take a penalty in the recent win over Lyon. All eyes will be on that duo if PSG win a spot-kick against the German champions, with Emery refusing to designate a first-choice penalty taker. "Those who have the responsibility to be the most prepared (to take a penalty) are Neymar and Cavani," said the Spaniard, who saw Cavani score from the spot in the 5-0 win at Celtic two weeks ago. If they do win a spot-kick, there will be no Manuel Neuer between the posts for Bayern, with the Germany number one out until January with a fractured foot. Sven Ulreich will therefore start in goal for the visitors despite his clanger in last weekend's 2-2 draw with Wolfsburg. David Alaba and Thiago Alcantara are set to return and Arjen Robben trained on Tuesday after struggling with an ankle problem. The game will be a special occasion for Bayern coach Carlo Ancelotti, who is back at the Parc des Princes for the first time since leaving PSG in 2013 after leading them to the Ligue 1 title. "I am happy to be here. I have good memories coming back," said the Italian, whose side beat Anderlecht 3-0 last time out but have come in for criticism for their performances recently. "It is true that we didn't start at the top but it's only the beginning of the season. This is an important game -- not decisive, but prestigious. "We want to win and finish first in the group, that is the goal."